It all started when Perry, Beverly Long, and Kathyrn Long purchased the waterfront property in 1992. Six years later they began wholesaling for the local fishermen. People asked if they could cook lobster and eat on the dock, using old lobster crates for chairs. The idea stuck that this was the place to go to eat freshly cooked lobster. Since then the restaurant has become a staple for locals looking for a great fresh-off-the-boat meal to enjoy with a beautiful view. Perry and Beverly made the business into what it is today, with seating that extends onto the dock that accommodates up to 60 people. Guests can watch the lobster boats come into shore and drop off the fresh catch every day. Perry had battled with cancer for 8 years, and with his condition worsening, his oldest grandson Seth Cote was just 15 years old. Seth got his worker's license and began working at the Lobster Shack to help his grandparents. Seth and his grandparents grew very close while working together, and when Perry lost his battle to cancer in September of 2015, Seth and his grandmother Beverly made the decision to keep Perry's Lobster Shack open, and to have Seth take on a new role as the owner. Seth has many years of experience working on a lobster boat, in the restaurant, and helping to manage a local rental and event company in Ellsworth - Wallace Tent. He is no stranger to the hospitality and food industry, which makes him a great candidate to continue in his grandfather's footsteps. Perry's Lobster Shack has grown leaps and bounds over its conception in 1998. It offers live and cooked lobster to go along with hand crafted homemade desserts, has become a part of the Ellsworth and Blue Hill Chamber of Commerce, and even offers BYOB. 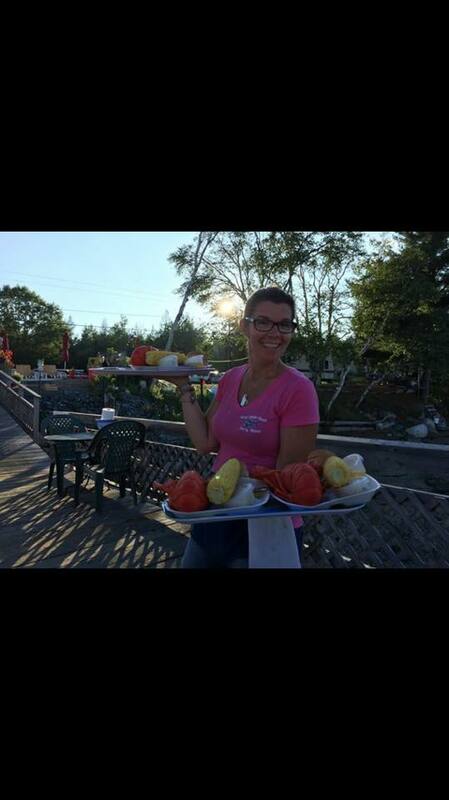 Bring your family by land or sea and come check out why Perry's Lobster Shack continues to be an exclusive Maine experience! visit the store page to check out our apparel!